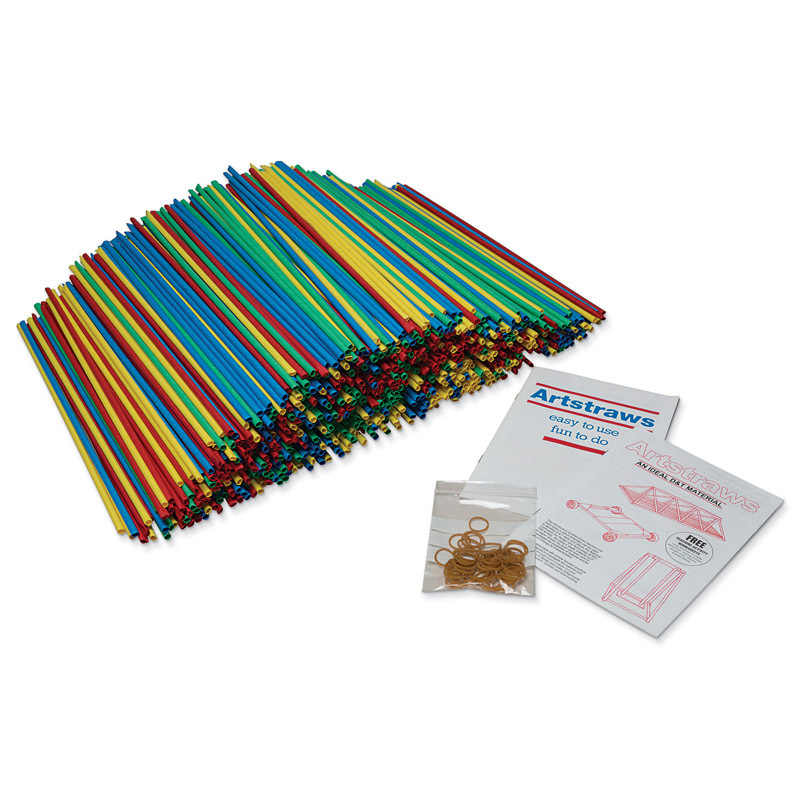 Artstraws® are 15.5" paper straws used for engineering and construction, as well as arts and crafts projects. 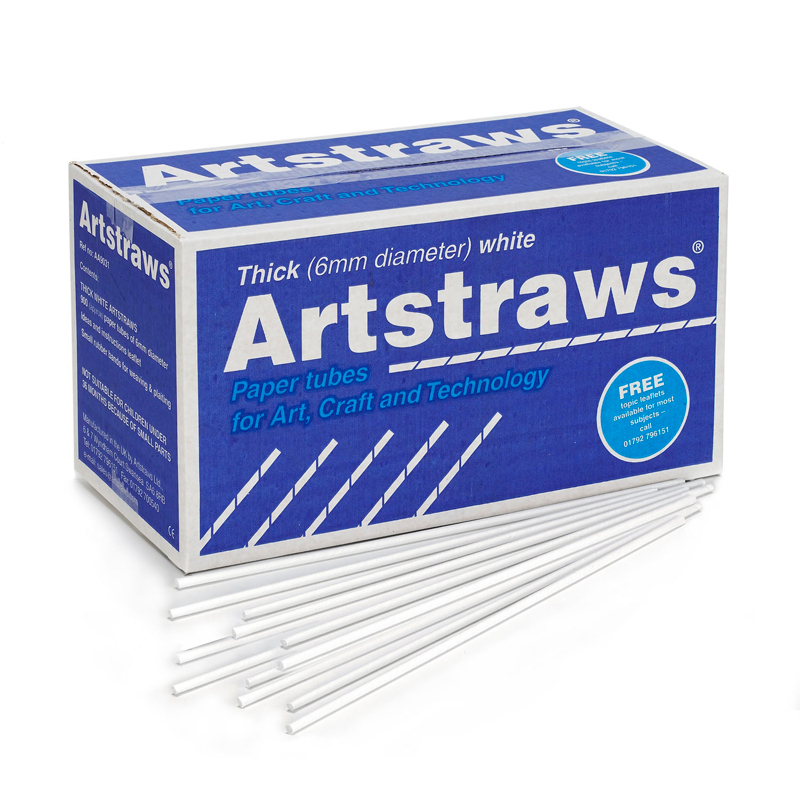 Artstraws can easily be combined with glue, or simply pinching and threading it into another Artstraw. No connectors are needed. Assortment includes Red, Yellow, Blue and Green straws. 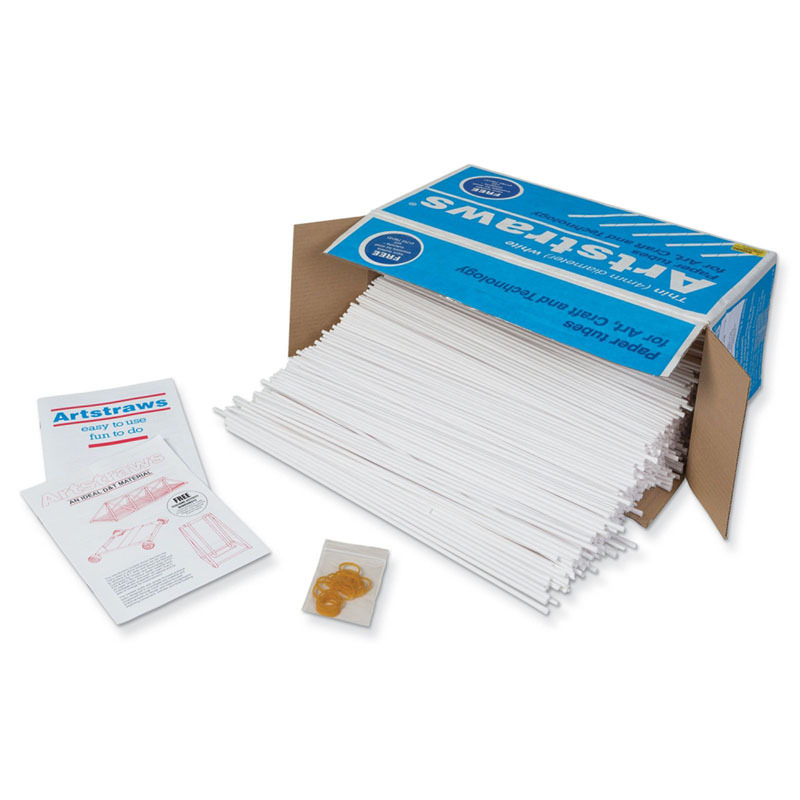 Each pack includes 900 Artstraws, and two instruction books, one for arts and crafts and one for design and technology. These straws measure 15.5" long and 6 mm thick. The 6mm Colored Artstraws 900 Count can be found in our Art Straws product category within the Arts & Crafts.